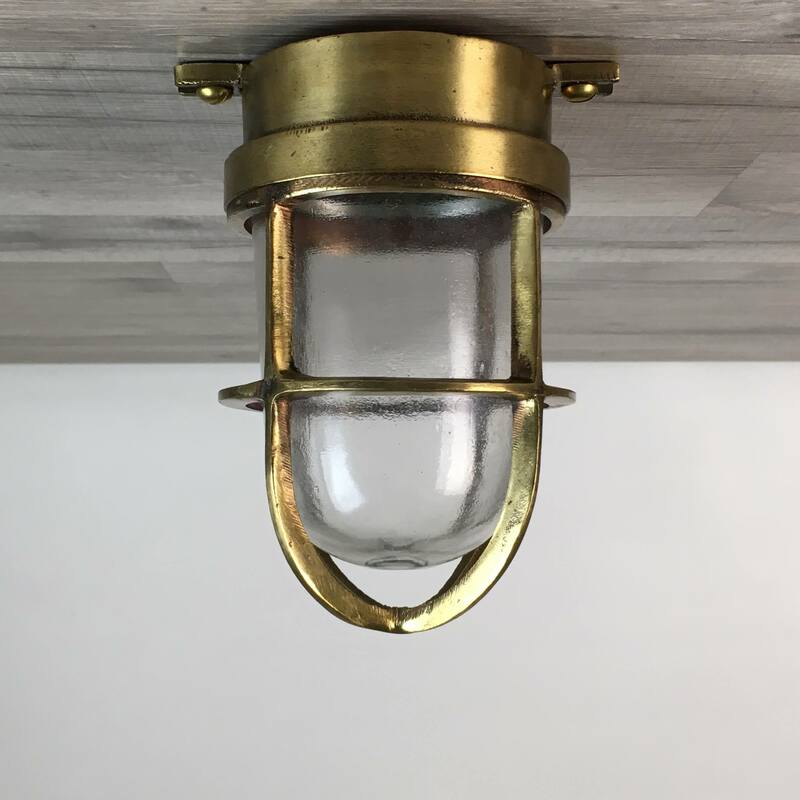 This is an original brass engine room nautical ceiling light with a blue glass globe to which we added the 10 1/2 inch wide brass deflector cover. This light will extend down from the ceiling by 8 inches when mounted. 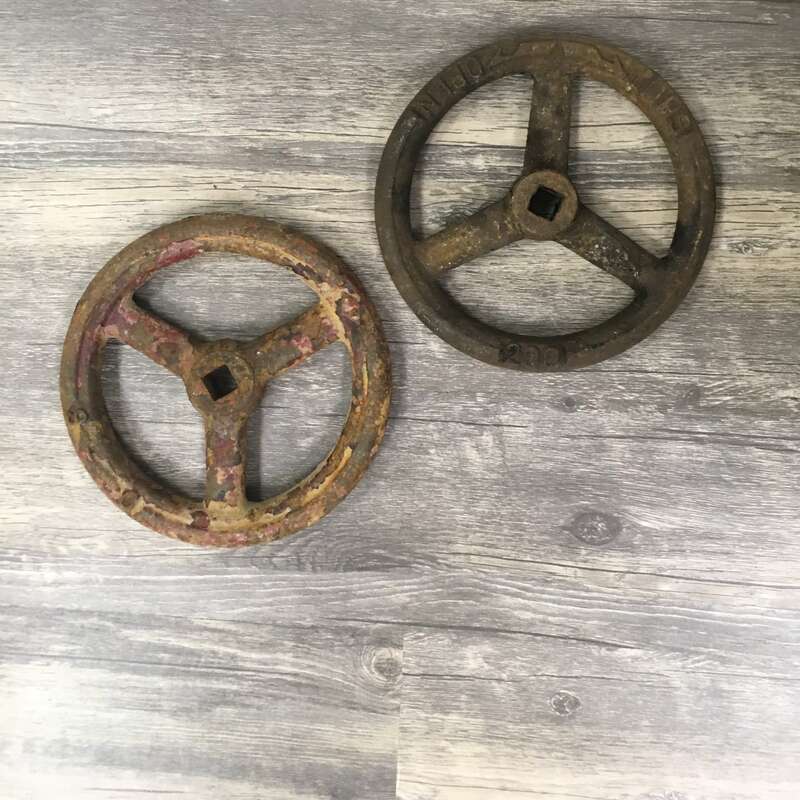 The ceiling plate on top measures 6 inches in diameter. The original conduit opening on the front has been fitted with a brass plug. This light weighs nearly 5 pounds. This light has been re-wired with all new UL-Listed parts that are rated for any voltage under 250 volts. We have also included a ground wire. The bulb holder takes a medium base bulb of 75 watts or less, or you can use the newer compact fluorescent bulbs or LED lights with an Edison base. This is a beautiful light that can be used inside or outside. Some have single conduit holes, and some have double conduit holes. All original conduit holes will have a new brass plug installed as shown.